Having been a student of the Sri Sathya Sai Institute of Higher Learning, I had many chances of listening to the experiences of the devotees of Bhagawan Sri Sathya Sai Baba. Many of them related their tales of miraculous cures that their Lord, their Swami brought about. Each case presented with its own specialities and unique aspects. Each one of them gave me a different sort of thrill. 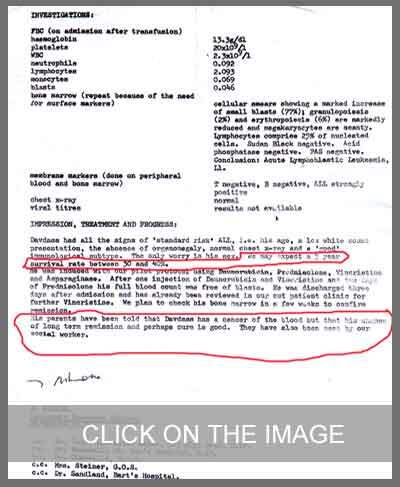 However, the scientist in me was not satisfied fully because many of these devotees had no “documented evidence” of their recovery and freedom from illness. That was when I came across the fascinating story of Mr. Davdass Taurah. It was a story of sheer grace of Bhagawan Baba that poured on to a patient who was located halfway across the globe from Prasanthi Nilayam, Puttaparthi - in the heart of the city of London! I was introduced to Mr. Taurah through a mutual friend who introduced him to me as the cousin of Alvin Kallicharan. Excited to know more about the cousin of a cricketing legend, I contacted him and asked him about his story. His first mail clarified that he was not related to the cricketing legend. I was slightly disappointed. But then, the next mail in which he wrote his story got me into tears. I shall go into why I got tears later on. Before that, let me pen down this story extraordinaire! Roshan suddenly developed a sore throat that just did not seem to heal. At the same time, he lost his appetite and began to have intermittent fevers. His legs began to pain and the barely three-year old used to cry a lot in pain. The parents were worried at this sudden turn of events. They took him to one of the best children’s hospital in London - the Hospital for Sick Children on Great Ormond Street. He got admitted there and the doctor who checked on him, prescribed a battery of tests. It was October 6, 1979. 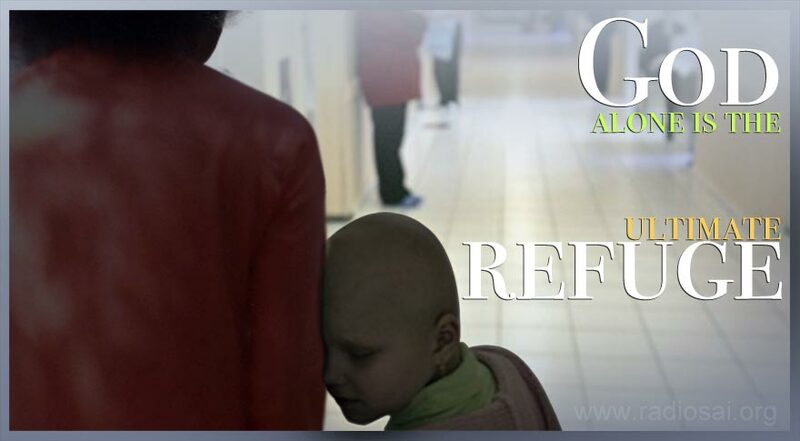 At the end of the tests came the confirmed diagnosis of ALL (Acute Lymphoblastic Leukaemia). Commonly speaking, ALL is a kind of blood cancer. Today, survival rate among children who have contracted this has improved to anywhere between 25-75 percent. But four decades back, the survival rate was quoted to be just about 10 percent! In order to present an optimistic picture, the doctors predicted a 30 percent survival rate for Roshan. But there was a catch – it was the survival rate for the next five years only! So, when the parents were presented with this apparently optimistic but really depressing situation of a low possibility of survival, they seemed totally lost. Any statistic that promised less than a 100 percent chance of recovery seemed depressing and the doctors could not help in any way. The child was kept in the hospital for about three days after which the doctor advised the parents to take the child home. “For how long can you promise me that my child will be ‘100 percent’ alive?” asked the grief-stricken parents. between 30 to 40 percent." It was at this point that the father walked out of the hospital to take a walk. He wanted to clear his mind and try to think his way out of the problem that now confronted him - how to simply wait and watch whether his little son would battle a cancer with some medications? That would be the first among his several such walks. It was on one such walk that he entered a Sai Center. This was one of London’s biggest Sai Centers and, surprisingly, was just across the street where the children’s hospital was located! Bhajans were on and Roshan’s father was strangely attracted by the singing. He had come to know about the supposed God-incarnate, Sri Sathya Sai Baba, a few weeks back, but this was the first ‘meeting’ of sorts with His activity. He sat for the bhajans and after the Arathi, spoke to some of the devotees gathered there. With a heavy heart he shared the tragedy of his life with them. The parents were both devastated. They knew that doctors do not ‘hope’ for the best unless it is the only thing they can do. They were almost paralyzed in fear and shock. But that was nothing compared to what they felt when they returned to their son’s bedside. The white sheets of Roshan’s bed were all bloody red! Roshan seemed unconscious! The parents just screamed out for the doctor who came rushing into the room. This was a scene that he too had not witnessed in all his years as a doctor. But the situation grew from serious to bizarre when the doctor noticed that not a drop of blood had emanated from the child. Apparently, it was the roses that had been ‘bleeding’! Roshan was not unconscious but blissfully sleeping. Everyone was confused at this episode. The doctors were scared now! They just hurried the parents to take Roshan home. The parents, however, strangely seemed strengthened by this ‘bleeding’ incident. They felt that some otherworldly force was at work. But Roshan did not improve. His various ‘illnesses’ continued and he seemed to be fading away day by day. Once more, the parents were going back into the abyss of disappointment and desperation. Yes, there was the ‘positive’ effect of the rose-bleeding incident but that seemed to be wearing out with passing days. Needless to say, that was exactly what happened. The father had seen what he had seen and felt what he had felt. He needed no more ‘proof’ or ‘instruction’. Within a couple of weeks after the dream, he landed in the hamlet of Puttaparthi. It was a difficult and long journey no doubt, but the father had been simply compelled to undertake the same. He had no idea when he would be returning to London. In fact, he had no idea of what he wanted to do at Prasanthi Nilayam too. Was the ‘meeting’ that Swami had called him for in the dream completed with the first darshan? There was no way he could comprehend. The father was crying now. He was crying shamelessly in the presence of a person whom he thought he was meeting for the first time. The interview revealed otherwise. Swami was all loving and consoling. One by one, He revealed all the different problems that he was facing and assured him that He was aware of everything. “How is the little one?” Swami asked. “Swami, the doctors say that he will die. He is very ill...,” the father’s heart wailed. Saying so, Swami waved His palm and created some 'grey fluffy fragrant ash', vibhuti, and gave it to the father to give the child. And then, Swami told him to give the letter in his back pocket in which he had listed out all his problems! The stunned father simply handed over to Swami the letter that now seemed totally redundant. Swami had already answered everything that he had listed in it. Handing over the letter, the father took namaskar. The interview was over. He walked out of the interview room and, later, returned to London. Any reader will guess that this experience in Prasanthi would have strengthened the father, and through him, the affected family too. But, as it turned out, the strengthening was with a purpose. Roshan seemed to suddenly go down in his health. 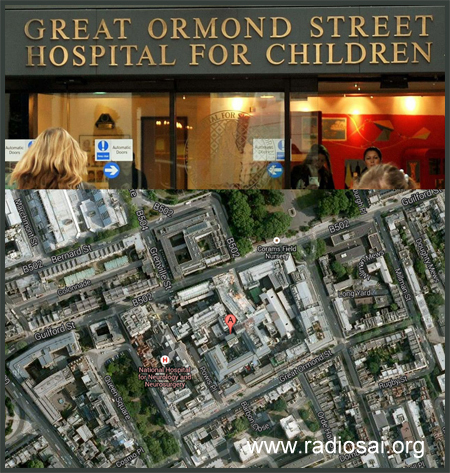 A second visit to the Hospital for Sick Children on Great Ormond Street became necessary. The doctor there was now no longer so positive about a cure. In fact, it seemed as if Roshan had appeared to heal but had, in reality, deteriorated! 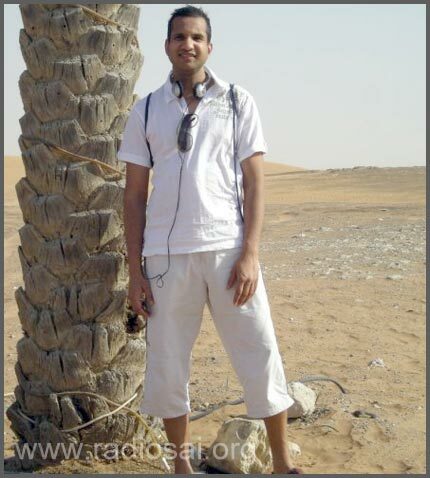 He was diagnosed with the same acute lymphoblastic Leukaemia. 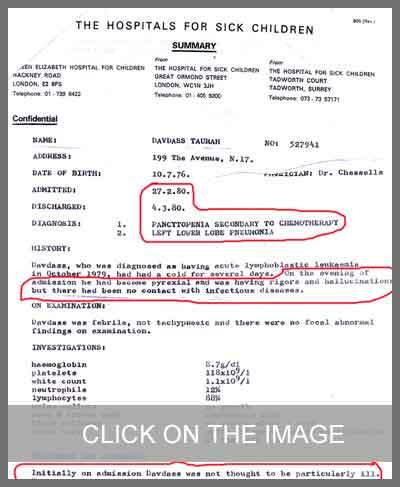 Only this time, the report also stated with confirmation that he suffered from hallucinations as well. Medically, anti-leukemic therapy was strongly recommended and Roshan was told to prepare for the ordeal of fighting a battle and war against cancer. 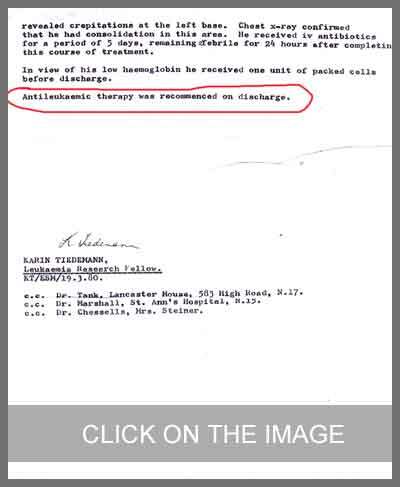 "...he had become pyrexial and was having rigors and hallucinations..."
"Anti-leukaemic therapy was recommenced on discharge." 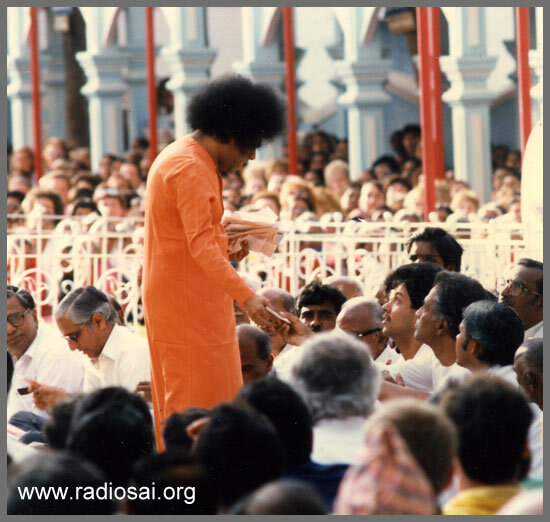 That was when the strength that Swami had injected in Prasanthi came handy. Having seen that it was their faith in the grace of Bhagawan Baba that gave them relief and hope, the parents decided that they had enough of the medical recommendations. Though they continued the medicines for a few months, they tailed off and stopped it completely too. Holding on firmly to Swami’s words - I am His doctor and I cured him completely - the parents put Roshan on an all-vibhuti medication. It is almost 33 years since and Davdass Taurah is as healthy and fit as anyone could possibly be! He was on ‘vibhuti medication’ for several months. 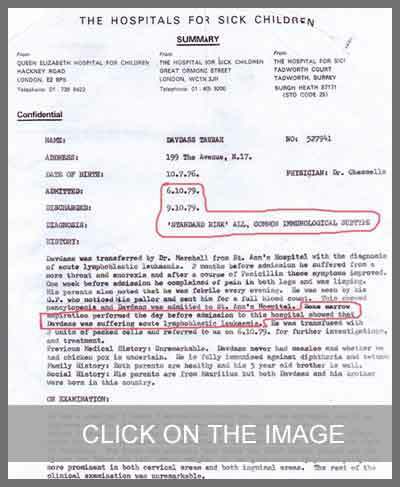 The final medical report available is dated 4th of May, 1984 in which the examining expert states that Roshan is hale and hearty in spite of being off the cancer treatment for several years. The parents did not need that certification any way! The family is firmly entrenched in its love for Swami and Roshan knows that time and distance do not matter for Swami. 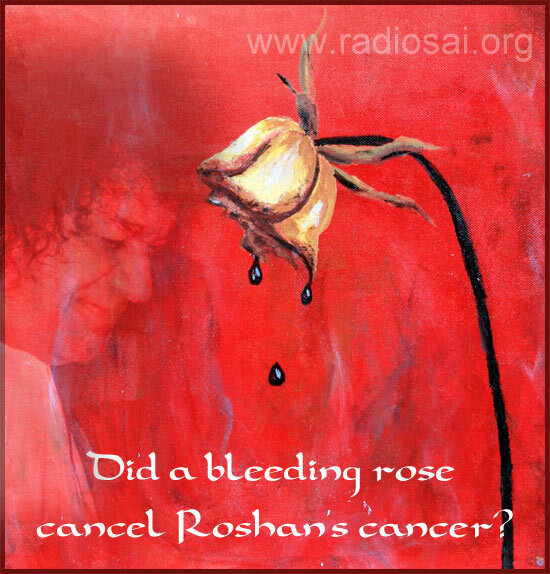 In fact, today, Roshan looks back at his harrowing battle with blood cancer with gratitude for it brought his Lord closer to him. Nammaka Chedinavaru Unnaru Kani Nammi Chedinavaru Leru, Leru Leru. Another ‘side-effect’ of this whole episode was that Dr.Tank (of Lancaster Road, 583 High Road), the doctor who was there with Roshan’s case from the start to finish, became a staunch devotee of Bhagawan Baba herself. 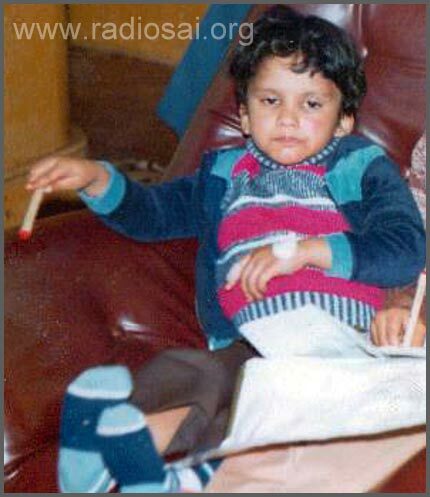 Since then, she has been active in several medical camps organized by different Sai Centers in the UK! As another story of faith and grace reached fruition, I can only pray that my love for Him grows stronger every moment and my faith in His infinite wisdom and timing stays firm every moment. Who would have imagined that a sickly and dying 3-year old would grow into a healthy and fine man!